We all want to be our best selves. But what if you could add almost anything to your body and mind? A camera here, an exoskeleton there. This is the world that some biohackers imagine—one in which humans can extend their abilities beyond the limits biology has set for us. But what does that world look like? This week I talked to two people who are interested in the future of cyborgs. Tim Cannon is biohacker with Grindhouse Wetware, where he helps a team develop and implant a variety of devices. In 2013, Cannon had a box the size of a deck of cards implanted under his skin to read his body temperature and transmit that data to a computer. Swain is a journalist who’s tried his own hand at some biohacking projects as well. A few years ago he tried to implant the RFID chip from an Oyster card (the London metro’s payment system) into his hand, but ultimately failed to find the medical-grade silicon he needed. Last year he hacked his hearing aids to detect wifi signals. Though they’re both fascinated by surpassing the limits of the human body, Cannon and Swain think about body upgrades very differently. Cannon wants to leave the human body behind entirely. He talks about the human brain as if it were a piece of defective hardware, something we should be working to replace. Swain on the other hand, thinks about augmentation as a way to get at the most human things about us. Together, we talked about all the things that might happen in a world where human augmentation is a reality. The ball will probably start rolling in a medical context: implants that help diabetics monitor their blood sugar, for example. Then, when these kinds of implants are deemed safe and reliable, the rise of implants will likely get a nice boost from the quantified self movement. Imagine how powerful your FitBit or Apple Health app could be if it could get data from inside of you! From there come the regulatory structures, the training programs for those who might implant devices, and the commercial, non-medical uses. Cannon, however, is quite clear that what he’s working on isn’t medicine. “I’m not trying to cure people,” he says. “It’s not medicine.” Think of it like plastic surgery—something that started as a medical expertise to help trauma victims, and that now is available in the form of elective procedures. So what happens when augmentation becomes as popular as, say, tattoos? 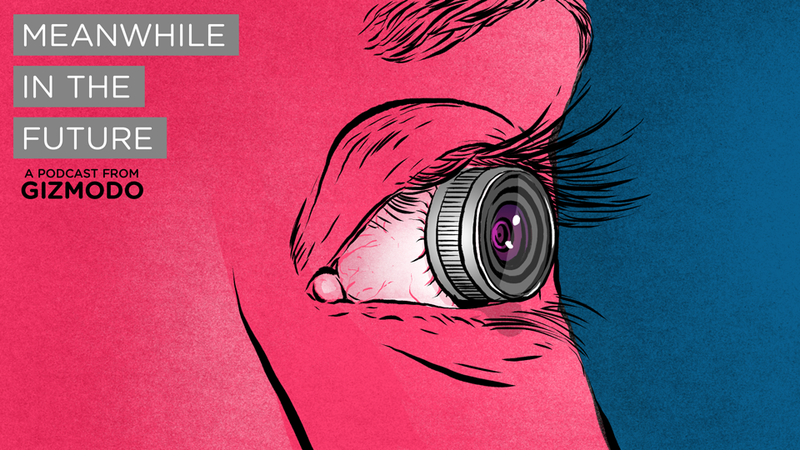 What limits might we set for augments—are cameras that record everything okay? Are super-strong exoskeletons okay? How will we deal with the fact that some countries might allow certain implants while others might not? What happens when people turn their implants into weapons? Nobody really knows, but we talk about some of these things in this week’s episode. For more on the ethics of these questions, check out this basic overview from the Hastings Center. For more on what bodyhackers are doing right now, check out Grindhouse and the Biohack.me forums. If you have thoughts about futures we should explore on the podcast, leave us a note in the comments, on Twitter, or email us at overthinkingit@gizmodo.com. You can subscribe to the podcast on iTunes, Soundcloud or via whatever RSS reading app you chose.